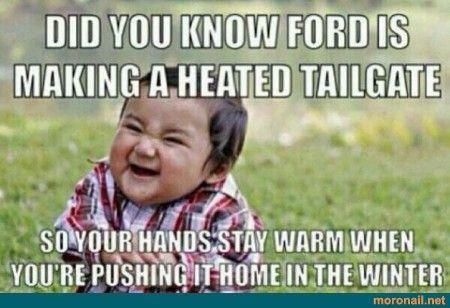 Did you know Ford is making a heated tailgate? So your hands stay warm when you're pushing it home in the winter! Did you know Ford is making a heated tailgate? So your hands stay warm when you're pushing it home in the winter!